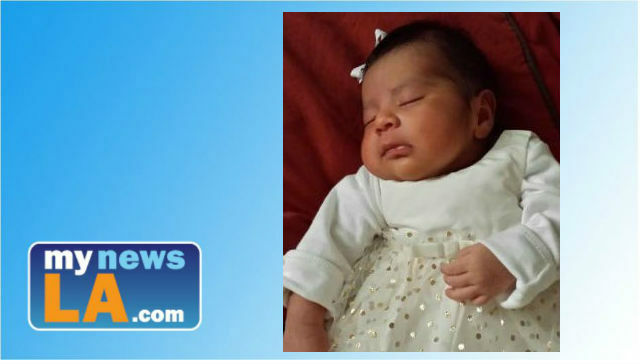 Newborn Eliza De La Cruz was kidnapped and murdered by a man, who along with a female accomplice, targeted the baby and her mother as they left a bus stop in Long Beach, CA. Photo from the Long Beach Police Department. An Oceanside man convicted of kidnapping and murdering a 3-week-old Long Beach girl whose body was found in a San Diego County trash bin and trying to kill the baby’s parents and uncle, along with a separate attack on a woman in an El Segundo hotel room, was sentenced Monday to nearly 142 years to life in state prison. Anthony Ray McCall, 32, was found guilty March 2 of one count each of first-degree murder, kidnapping and attempted kidnapping, along with four counts of attempted murder. Co-defendant Giseleangelique Rene D’Milian pleaded no contest Jan. 5 to one count of first-degree murder for the January 2015 killing of Eliza De La Cruz, along with the attempted murders of the baby’s father and uncle. 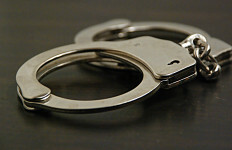 The 50- year-old Thousand Oaks woman was immediately sentenced to 25 years to life in state prison. Deputy District Attorney Cynthia Barnes told the jury that D’Milian needed to get a newborn child after falsely telling a boyfriend she had been pregnant with twins, so she followed the 3-week-old girl and her mother, Jacqueline Honorato, home from a bus stop. McCall — a close friend and associate of D’Milian — snatched the baby from her mother’s arms and shot Honorato and the baby’s father and uncle on Jan. 3, 2015, with a gun using silencers made from potatoes, the prosecutor said. The baby’s kidnapping was “all over the news,” and the next day the infant — who died of axphyxiation — was found thrown away “like trash” in a plastic trash bag that had been left in a dumpster in Imperial Beach, along with items on which McCall’s DNA was found, including the knot on the top of the trash bag, Barnes said. The prosecutor said “the defendant did not stop there because D’Milian still needed a baby,” telling jurors that the mother of another infant was lured to a hotel room in El Segundo on Feb. 6, 2015, in an effort to kidnap her baby. That woman screamed for help while being beaten with a baseball bat and other hotel guests notified the front desk staff, who summoned police. She said she was most appalled by wiretap evidence presented during the trial involving a phone call between the defendant and another accomplice, in which McCall was asked if he was promised anything in exchange for what he had done. “And I quote the defendant’s response, `It was for me, for me, for me, honestly dude, I did it out of the sheer kindness of my heart,”‘ the judge said, adding that she didn’t know how anyone could say such a thing regarding a baby. The prosecutor said Eliza’s parents decided it would be too emotional for them to return to court to make victim impact statements. They had testified, along with the baby’s uncle, during McCall’s trial. But the victim of the El Segundo attack, Hannah Salazar, addressed the court. In an emotional account during the first day of McCall’s trial, Eliza’s mother testified that she pleaded with her assailant not to take her baby from her, and that she unsuccessfully tried to chase after him. “I couldn’t do anything to stop him,” Honorato said. She said she could hear the voice of a woman telling her daughter, “I’m your new mommy.” She said the voice was the same as the woman who had approached her that afternoon, asked her how old the baby was and offered her a ride home, which she declined. “Did you ever see her (Eliza) again?” the prosecutor asked. “No,” the woman said, crying. The baby’s father, Eddy De La Cruz, said he was shot in a leg and only saw his daughter one last time when he was shown a photo of her by police trying to identify the dead infant. McCall and D’Milian were arrested in March 2015 by Long Beach police, who said detectives had reviewed extensive video surveillance footage and determined that a black Range Rover had followed the mother and baby before the shooting that day. Detectives said they also learned that their counterparts in El Segundo were investigating the attack on the mother of a 4-month-old boy. A third defendant, Todd Damon Boudreaux, 46, pleaded guilty in October 2016 to being an accessory after the fact, and he was sentenced Monday to time he had already served behind bars.